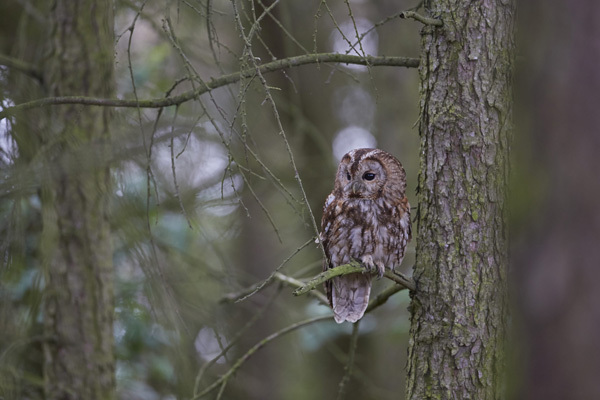 The resident Tawny Owls have successfully reared one owlet and are out hunting during the late afternoon early evening. This is the only time of year that they come down to the woodland hide to feed during the day. The rest of the year we have to use flash. Tawny Owl, Arglam Grange Farm, East Yorkshire.